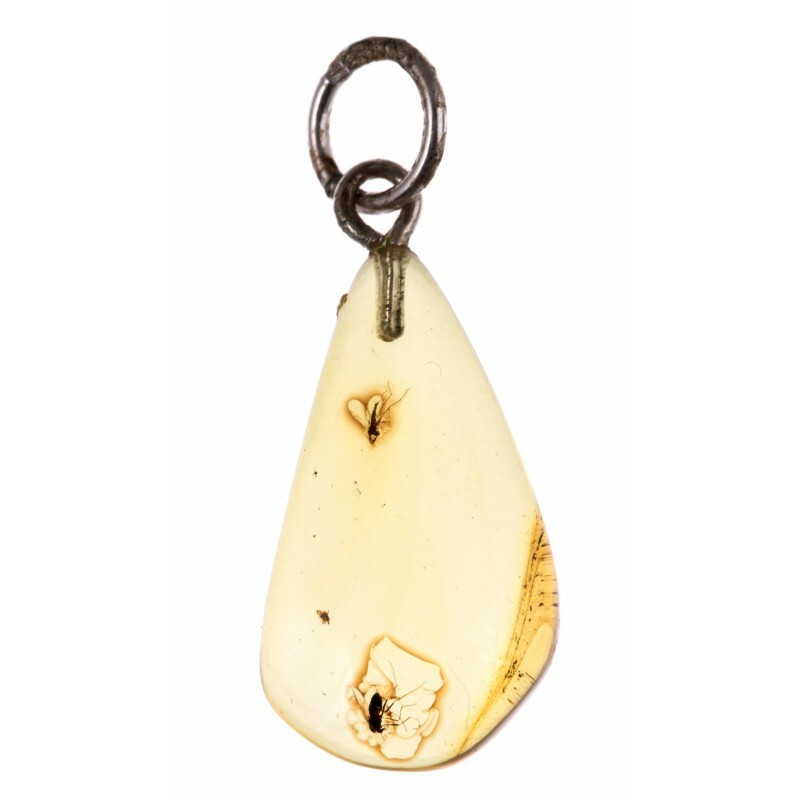 Drop-form, an exceptional amber pendant - a treasury of the history. 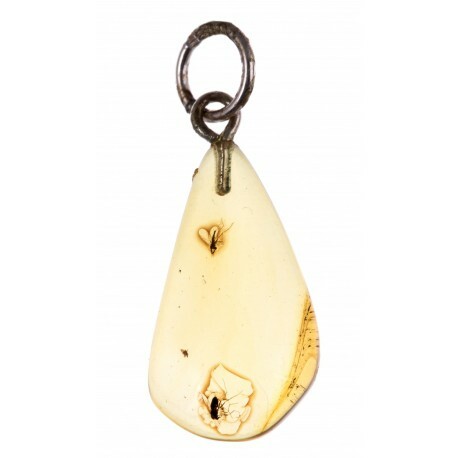 Wear it and feel a special one with this unique pendant. Dimensions Amber size : 1,9 x 1 cm. Inclusions - are the fossils stiffed in the resin million years ago and their "treasuries" - amber pieces - have become very important and for the science and for their aesthetic qualities. Amber inclusions - the most popular and favorable object of paleontological researches because their remaining are very well preserved. In addition, they are very well endured.